SBK Motoworks Fiber Glass Race Fairing for CBR1000RR 2008-2011. Made from the high quality fiber glass, it comes in complete set with seat foam and full tank cover. There are kevlar enforcement on each of the holes of the screw fasteners. Our race fairing have been tested and used by many racing teams, we developed the fairing based on the race teams feedback. We produced various race fairing for superbikes. The race fairing is only for the track days and race competition. We provide delivery worldwide. 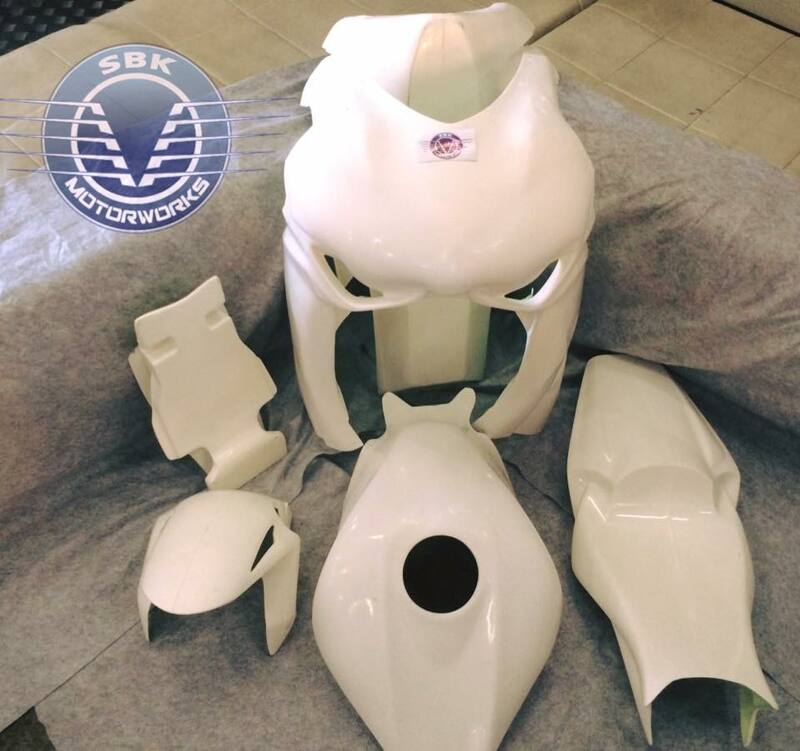 Please email us at info@sbkmotoworks.com.